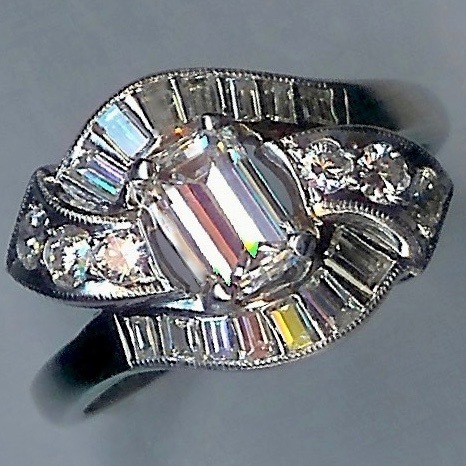 Stunning Vintage 1.71ct Diamond Ring [SH10021] : loveVintageDiamonds.com, Your Vintage Diamond Dreams Come True! 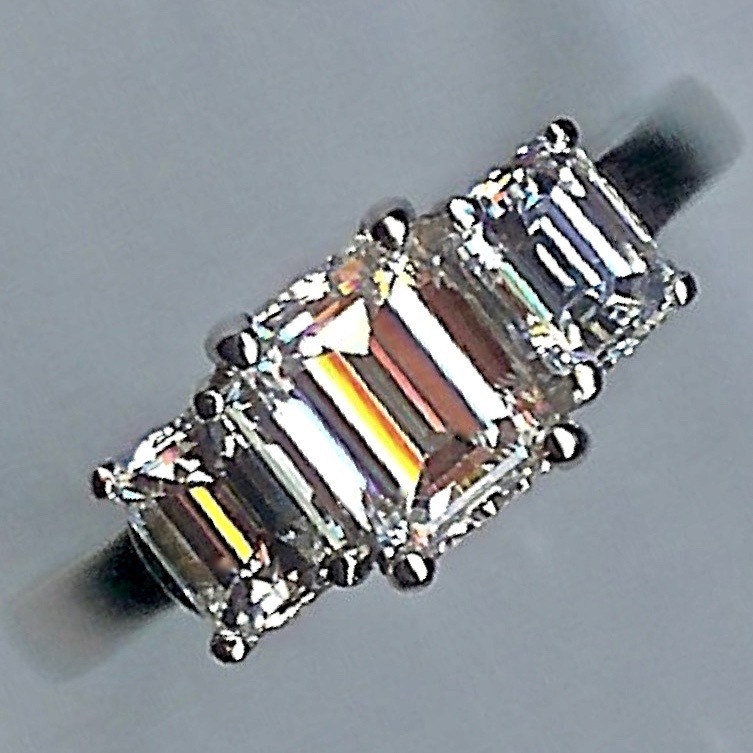 Stunning Vintage 1.71ct Diamond Ring. c.1930. 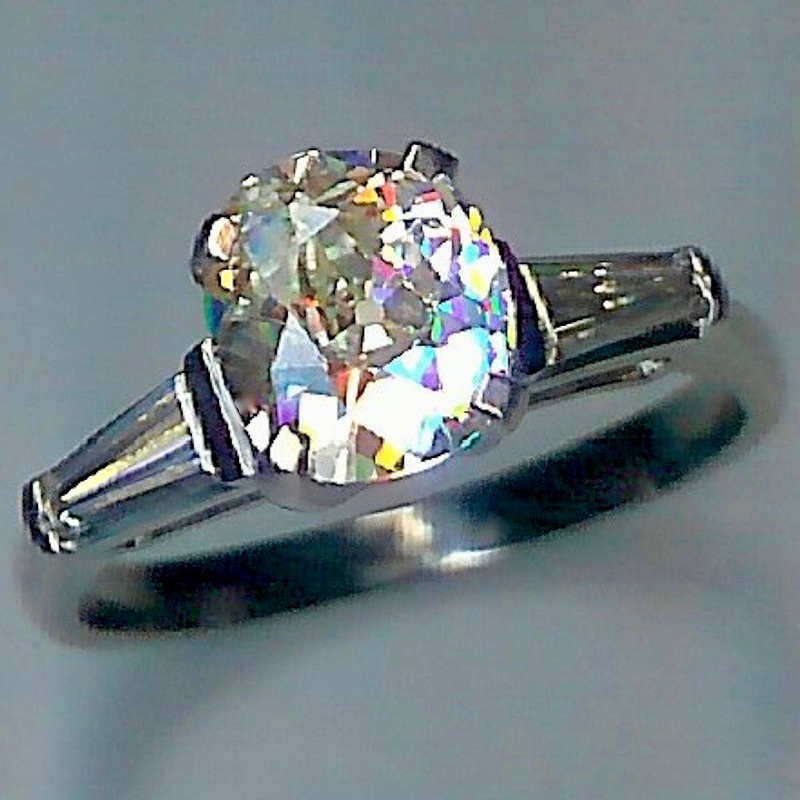 The superb centre stone is a beautiful cushion-shaped old-cut diamond, with a weighed weight of 1.71cts. 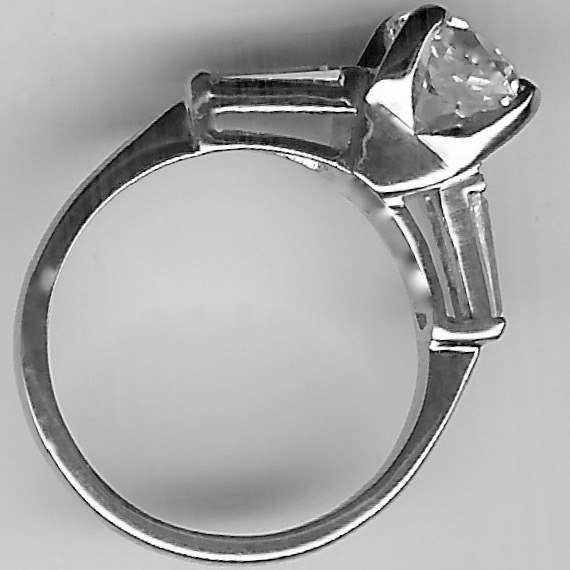 The shoulders are each set with a tapered diamond baguette. 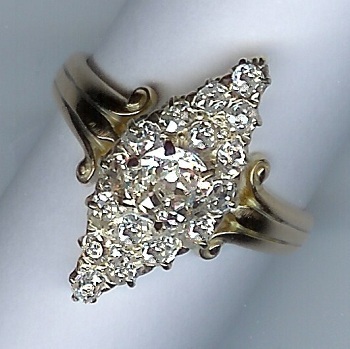 The three stones offer a total diamond weight of approx. 2.07cts. All white, the shank is unmarked and tests as platinum. 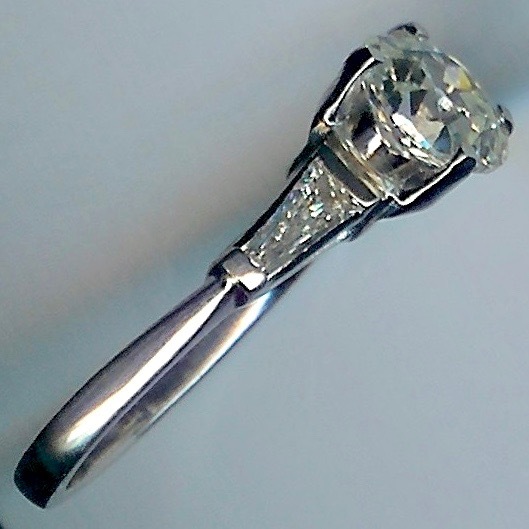 DIAMOND WEIGHT: 1.71cts centre, 2.07cts total. 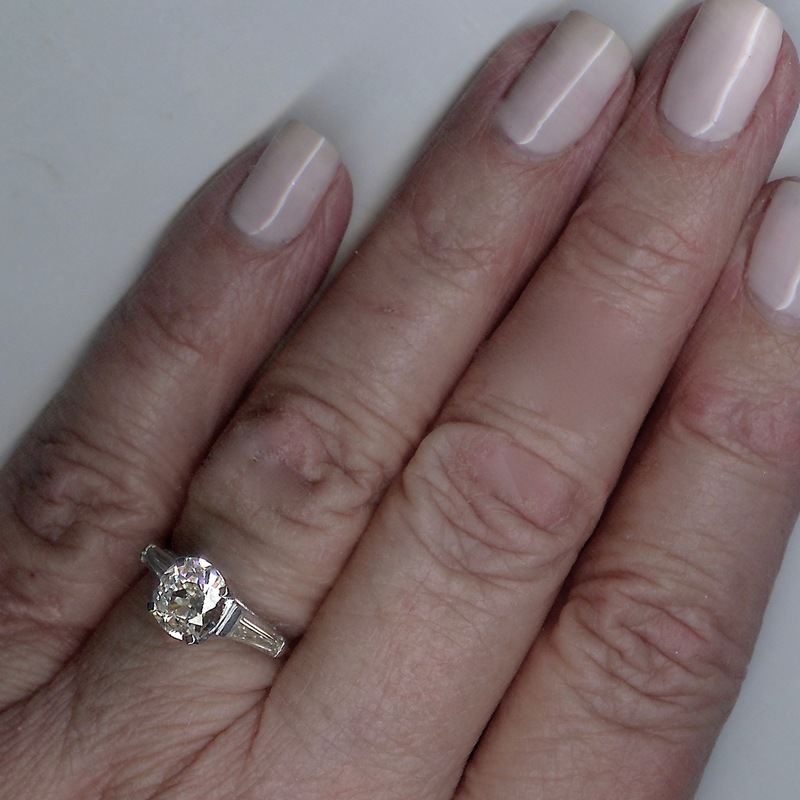 *See our Ring Sizing page for details on complimentary ring sizing and an international sizing chart.